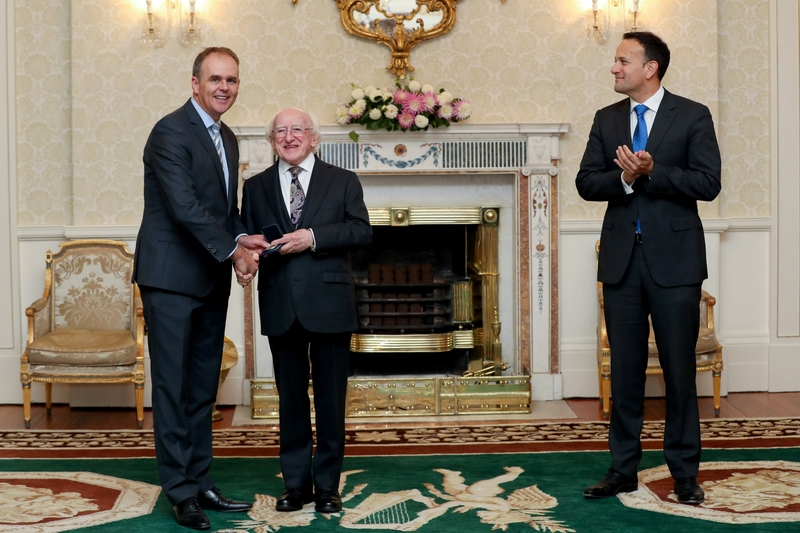 Donegal TD Joe McHugh has been appointed the new Minister for Education and Skills following a special ceremony at Áras an Uachtaráin on Tuesday evening. Following a vote in the Dail chamber, President Michael D Higgins officially appointed the new Government ministers at a ceremony at Áras an Uachtaráin. The appointments came after last week’s resignation of the former Minister for Communications Denis Naughten. The Roscommon politician voted for Mr McHugh during Tuesday evening’s vote in the Dáil where 58 TDs voted in favour of appointing the Fine Gael deputy to Cabinet. 34 TDs voted against the appointment and 29 TDs abstained. McHugh takes over from Richard Bruton as Education Minister. Mr Bruton has been appointed the new Minister for Communications, Climate Change and Environment while Seán Kyne becomes Government Chief Whip and Minister with Responsibility for the Gaeltacht. Independent TD Sean Canney has been appointed Minister of State for Rural Affairs and Natural Resources.